In this lengthy article we’ll cover – to a very large extent – all that you’d need to land SEO clients from outreach to close. I made sure to make this article Newbie-friendly, and condense all that I’ve learned into some sort of a manual or a blueprint for every one starting out to follow and get both guidance on what to do next, and of course .. to get results! Why a Blended Approach is best! Why it’s better NOT to do contracts when starting out. The Newbie SEO Sales funnel overview. For every year that goes by, SEO becomes harder to pitch and technically tougher to achieve! 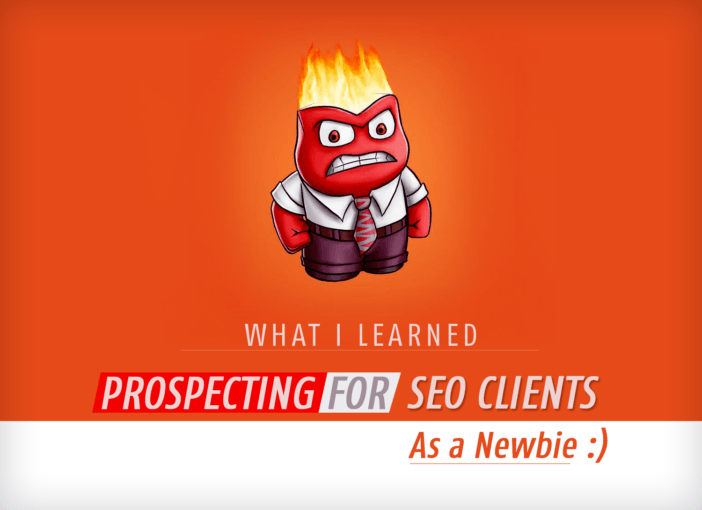 Not to mention, with the constant and never-ending rise of new digital marketers almost every day, if you are trying to land clients you’ll definitely come up against a lot of people who got burned before by the other so-called “Marketing Agencies” or other SEOs. Therefore, It will be your responsibility to reach out to prospects, set yourself apart from the herd, to help educate them on the value of SEO, make them open up to you about their challenges, their doubts, and finally to overcome the pre-existing mental hurdles and objections that almost all prospects have in mind so they can trust you with taking over the reins, for you to grow their business for them. While in reality it’s not that simple and not that easy, but –technically– with clients you can go from ZERO to HERO (or some sort of a hero) in one day once you got a deal, or a few deals closed. And that’s all you need to turn your life around! This is because Client SEO will allow you to generate cash fairly quickly you so you can start investing in either scaling or building other assets for yourself. Basically, you need money to make much more money! And getting clients will get you there in the shortest time possible. Last but not least, while all forms of digital marketing DO work, Search Engine Optimization, in my opinion. generally beats other forms of digital marketing when it comes to providing long-term results and a better ROI in general. And unlike things like Facebook ads or social media advertising not having as many technical aspects as SEO, it becomes the most eligible service for signing monthly retainers. Once business owners finally get to see tangible results, they wouldn’t want the influx of calls and business to stop. The Outreach: Cold-Calling vs Cold-Emailing vs Show Me Your Face! If you are reading this, then you probably belong to the introverted herd, and being a GEEK/NERD is most likely a pivotal part of your genetic make-up. Because very few of the average Joes and Janes out there are into sales and love selling by nature – I personally don’t and I can’t stand it! Therefore, I will assume that you are one of majority of introverts who love to read, live in their heads, and get stuck behind the screen while still wanting to make a living off of the digital world! Cold calling is -downright- the most draining of all outreach methods out there. However, you can score and secure meetings way faster using cold-calling. Just know that you have to be relentless with it and transform yourself into a human-calling machine. Always MOVE ON! This is because not all of the prospects who agree to a meeting will actually show up. And do NOT attach yourself to those who express interest either. With cold-calling, always MOVE ON and shoot for VOLUME! P.s – If you have some money, you can outsource this part to professional cold-callers or freelance telemarketers for a couple or a few hours to book a few meetings for you. Eventually, this will be a good return on investment for you once you got a deal closed. Cold emailing works! People read emails every single day! You just have to really stand out with your approach and set yourself apart from the other so-called “Digital Marketers” out there who are being born into existence -literally- every single day. I can’t tell you how many times I got responses from prospects telling me they are sick of getting dozens of emails pitching digital marketing every single week! The good thing is, once a prospect responds positively to your email, you know for sure that they are truly interested in what you have to offer or say as opposed to just getting blind meetings with prospects from cold-calling who have no interest or intention of ever showing up. This advantage alone takes a big chunk of the qualification process out of the game early on. Just like with cold-calling, expect lots of bad responses and lots of “NO”s. And regardless of what outreach methods you use, always MOVE ON and shoot for more numbers as outreach – regardless of the method- is a sheer numbers game! You only need one “YES!” to turn things around for yourself and your life. If you live in the (U.S, UK, Canada, or Australia), then you can use this to your advantage and schedule face-to-face meetings with your prospects after a cold-call, or a warm-call after a cold email (more on that below) as Google has the largest market share in these countries, and people mostly resort to using Google for their daily searching in these locations. Face-to-face meetings establish trust like no other method and business owners will almost always prefer someone they see in real life over someone who just contacts them only digitally! I personally don’t have this advantage as my country of permanent residence is outside the aforementioned locations. That’s why I resort to a mix of Cold-Emails, Phone calls and Skype meetings to incorporate the human element in my outreach and to establish rapport and trust with prospects. This is -specifically- what this article was written for! When you are just starting out, everything feels overwhelming and you become doubtful about almost everything you are about to do, and you keep wondering what works best and if any of the steps you are taking would eventually pay off. Because having a decent sales process or a tight, clear, sales funnel in place is what’s going to determine your success, I decided to do my best in this article to shorten or –hopefully– eliminate that stinging pain of ‘Trial-&-Error’ early on for you as much as possible by providing you with some guidelines to better prepare you for what to come, and to steer you in the right direction depending on the feedback and responses you get from your prospects throughout the sales funnel. Once you get a fuller understanding of entire the process from outreach to close, and know what to expect and how to deal with what comes up, it all then becomes a matter of “Rinse-&-Repeat” to acquire more business. And remember, It only takes ONE “YES!” to turn things around as getting more business later will be easier to replicate and you can simply start getting referrals if you do things right. Know that it is very hard to sell 100% via Email alone unless the lead or the prospect you are dealing with is already tech-savvy and knows a bit about SEO or digital marketing services and they are just one of those who take the time to research, look things up and decide on their own (This happens mostly when you’ve already ranked your digital marketing agency site for keywords used by people in your targeted area, or if you are running ads, and sometimes if you are active on social media). But for the most part, you’d have to reach out to business owners by yourself and educate them in the process about the value of what you do and why they should trust you with their business and pick you over others. And eventually at some point, you’ll have to throw in a at least one, if not a couple of or more calls in the process for sealing the deal. This is crucial for prospects to feel like they are communicating with an actual human being and not just a robot behind-the-screen. That is not to say you can’t sell by e-mail alone, but it is rare! and when you are starting out you should always be investing your time in what works MOST of the time and not in what works “rarely” or sometimes. You also don’t want to waste your time re-inventing the wheel trying things on your own only to be banging your head against the wall till you start seeing some tangible results. That’s why an ‘in-between’ approach of both Cold E-mailing & Warm-Calling is very reasonable and can yield great results. It takes the intimidation of cold calling out of the game for those who are starting out and still aren’t that relaxed because they still don’t have any business running for them yet, and starting your funnel with Cold E-mailing will help you weed out those who aren’t already interested early on. Because the ones who respond -when called- they would be warm leads and it would be more of a warm-call as they’d be willing to give you a few minutes of their time to hear from you on how you can help them. Let’s face it – the nature of outreach is exhaustive and consumes mental energy. To be consistent with it till you start getting results, you best bet would be to commit to making a habit out of it for an extended period of time (30, 60, 90 days) till you start getting enough business. Just don’t expect something magical from 1 week so you don’t get disappointed. It is a well-documented fact that it takes about 5-8 and up to 12 contacts with a prospect for a sale to happen, or for a prospect to convert. Knowing this -along with what we mentioned above and below- will make a world of difference in preparing you beforehand so that you manage expectations and stand your ground when hurdles come up without getting disappointed or becoming overly attached to outcomes early on. One thing that makes cold-calling a bit easier (or any sort of outreach) is not to assume any outcomes! Basically, if something sticks consider it a BONUS! Always move on to the next! While in this Newbie Sales-funnel we are not relying on Cold-Calling, you’d still have to pick up the phone at some point to phone your warm prospects. Just remember that almost everyone hates cold-calling like you. This fact alone makes it a bit easier knowing that you are in the same boat as most people out there. It is perfectly NORMAL for your heart to race a bit with any sort of cold-approach whether it’s by phone or a face-to-face meeting. Just know that it is normal, it’s generic, and it always goes away within the first 30-60 seconds. It may feel like it will last forever, but it always GOES on its own! You TRULY got nothing to lose! Think about it this way.. If you get a “NO”, everything remains the same and you are just maintaining the status quo. You haven’t lost anything extra! But the moment you get a YES!, consider it a bonus and still .. MOVE ON! It is normal to have FEAR of success, and FEAR of things not working in your favor. You can always get back to your ‘Safe-Zone’ from 9-to-5. But no one achieves something different or great by sticking to what is safe and predictable. Look around and see what “Safe” looks like. It’s most people! You automatically set yourself apart by being here! and you ONLY fail the moment you stop. Take a break every now and then to re-charge your batteries -This is absolutely critical for GEEKS/NERDS/Introverts. Just don’t quit totally, always get back after a short-break. Consistency = Results! Lastly, All you need is one “YES” to turn your life around! Getting more business will always be easier as you can either Rinse-&-Repeat the funnel, or you can ask for and get referrals later off of the few clients you previously closed a deal with. The Funnel – Ready to Implement? There are dozens of ways and tools out there to find & collect SEO leads. I personally used Lior’s ScopeLeads! when I started out. While I haven’t tried any other tools yet, I’m glad I came across this early on as I wouldn’t have learned what I learned today without ScopeLeads. It truly saved me a TON of time! Not to mention, I still haven’t seen a lead scraping tool that suits all digital marketers like this. Regardless of what digital service you are offering (SEO, Social Media, PPC, Websites), ScopeLeads will find you leads for it in seconds. I also liked that it doesn’t tie you into an annual subscription or any long-term commitment. You can simply start any time and cancel anytime. Not to mention, if you only get ONE deal closed from a one-month subscription, then you already got a huge return on investment and that’s how I personally thought about it. Now, if you are on a tight-budget and can’t afford any lead scraping software, then Page 2 on Google (organic/map listings) and beyond would be your best bet! You can also reach out to those who are already advertising on Google, Yelp, or Yellow pages as these would be more qualified leads as they’ve already shown that they are investing in some sort of digital marketing and that they understand the importance attached to it. One more thing, don’t forget craigslist when starting out! Know that all not all of your emails will be delivered successfully to the intended person. For businesses that are well-established, most of the emails would go to a receptionist who -most likely- won’t pass any emails with a marketing pitch to the ones in charge of the marketing or business-related decisions. Call the receptionist and tell her/him that you previously sent an email and got a response from the person in charge of the marketing but they didn’t mention their name in the signature. Call the receptionist and ask her/him about the email address to the person in charge of the marketing decisions because you have some valuable and up-to-date info. about the local market in their area or whatever. Call the receptionist and ask her/him about the email address to the person in charge of the marketing decisions as you e-mailed them previously and they responded back asking you to contact them at a later date but you seem to have lost their e-mail as that was a long while back. Now that you know the e-mail address or the name of the qualified person you are trying to reach, you can then call anytime later and simply ask for them by name and you’ll sound like a regular who’s got relationships with decision-makers in the company. Still can’t get to the business owner? In case you get asked “What is this in regards to?”, tell the receptionist it is regarding some marketing data for the business in the city that the marketing manager asked for. And if they ask you to leave your contact info., tell them that you’ll call later. P.s – You can use all of these cold-calling tricks right away and skip any email contact if you’d like. I call this the “Fake Cold-calling“. Basically, you are cold calling with a fake excuse to get to the business owner. If this is still intimidating to you when starting out, then warm up to them by emails first. P.s – Skype offers 3$/month phone subscription with unlimited minutes to the US or CANADA or whatever country of your choice. Striking a Conversation by email to just get a positive response and then use that as an excuse to go for a warm-call and then qualify the prospect (more on that below). Offering Value for FREE in a –seemingly– genuine manner (by text or video) and once you get a response, you also go for the warm-call directly or right away. Do NOT start by introducing yourself! Most people choose to open emails based on the first line that shows up right after the subject/title. 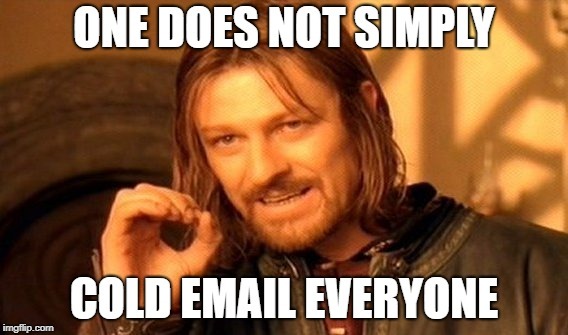 If your first line sounds cliché’ or repetitive like the dozens of emails they are already getting every single day, then you won’t get your email opened. And if you are ever going to introduce yourself, only do so after you’ve sparked their interest with the first few lines. You are better off working on your signature to include your contact info and your title so you don’t have to introduce yourself and make the message lengthier. If you are going with Option #1 (Conversation-Striking cold emails), then focus on piquing interest with a casual question. Something along the lines of “Are you looking to get more business or you are fully booked?“. Just get a conversation going! Do NOT ask Cliché YES or NO questions directly in your emails or even on the phone like (“Are you interested?” .. “Would you be interested in ..?”). This is because we -as human beings- we tend to have an innate resistance to anything that seems new to us or requires us to do step outside our comfort zone or entails making a decision. Marketing decisions of course are of that nature too. Just don’t give people the option to say “NO” unless they blurt it out themselves (there are even ways to turn a NO into a YES, but I personally wouldn’t take it too far wasting my energy trying to convince someone who doesn’t seem ready or qualified). If you are ever going to send lengthier messages, do your best to condense your email into 4 easy-to-digest sentences or a couple of small paragraphs. So, resist the urge to give out too much info in your first email. Remember, you want to ONLY spark their curiosity. If you show too much, you’ll get lumped with other marketers into the trash folder, or they won’t take the time to go through all of your email. Do NOT use the infamous e-mail template that every SEO and their mother -from the early era of SEO- have used to email prospects around the globe. I’m talking about your “Competitor X, Competitor Y, and Competitor Z” and the amount of business each one is getting. While this might have worked previously, know that it’s been overly used and ABUSED by the SEO community. Not to mention, it establishes a great deal of tension between you and the prospect. Do this early on in the process and you’ll likely get them mad at you as they’d feel like if they responded back to such email .. they’d be submitting to you! (Remember that they don’t know you yet – It’d be better to do this after you’ve already established a bit of trust or rapport with them). You can still send a Video Audit (or a fake one to save time and wait for them to respond to see if they are interested) but be gentle about it and make it sound like you are really trying to help them improve or adjust a few things with their site that will bring them more business in exchange for nothing. You can even tell them to pass this info. to the person in charge of their website (makes you seem genuine) and in many cases, you can get responses from local business owners asking you about what you do and how much would you charge for these changes. This is especially true for local businesses as in many cases you’d find that some of them don’t have a webmaster or someone managing their website for them unlike medium-sized businesses or larger. Video audits are great as they show your personality, the way you speak, and you can establish yourself as an expert early on in the sales process. If you are wondering what times are best to reach out to prospects, then early mornings (8-10 AM) and late afternoons (4-6 PM) would be your best bet! Anything in between and you’d be truly interrupting the flow of their work day and/or stealing their coffee or lunch break! STEP 2: It is Normal – Don’t Expect a Response! Know that it is very NORMAL not to get any responses at all on first contact. Following up is the name of the game! I never believed this until I started following up anywhere between 1-3 times or so. I kept complaining about why I wasn’t getting any responses until I learned later that people either didn’t see my email, or they saw it and wanted to respond but forgot about it as they went on with their day, … etc. I personally view responding to emails and even Whatsapp messages as a burden. Keep in mind that those prospects are humans just like you and I are, and they won’t always be in the right mood or headspace to give you -or your email- the time of day especially when they are bombarded by other marketers and agencies every single day. Know that following-up works around this issue magically! and it weeds out those aren’t interested at all early on unlike cold-calling where you sometimes get prospects nodding their heads just to end the call with you and you never get a hold of them again. Even if you have the best offer in the world, expect lots of NOs and flat out indecent responses. Even if you ask people in a message to reply with a simple “yes” in case they are interested, some of them wouldn’t just sit in silence, but would actually take the time to intentionally write their own unlisted option (i.e. “I’m NOT interested”). So, just develop a thick-skin to it as none of that detracts from you and don’t lose anything extra like we mentioned before. If you get a NO .. everything remains the same! P.s – Cool Trick: If someone responds back to you with ‘I’m not interested’, you can try to crack a joke or share a meme that is relevant to the situation or even their industry and see if this gets them to open up to you as it can help them see that there’s something different about you. STEP 3: Pick Up the Damn Phone Now! If you got a response using the ‘Conversation-Striking’ method, you can get to the warm-call right away and start qualifying the prospect as shown in the next steps in the article. If you get a response after offering some value for free using the Video-audit method, you can get to the warm-call right away too. Some people would tell you to send your prospects a link to your business calendar or a calendly link after getting a positive response for them to book a meeting with you. IMO this makes the sales cycle drag on and on as you should know and expect that most of them wouldn’t take the time to book a meeting when given a link to a calendar. And the more the sales cycle drags on, the more -both YOU and The Prospect- lose interest in the process. Remember that there are dozens and hundreds of marketers contacting these business owners by email the same way and bombarding those business owners with invitations to book meetings with them. If business owners respond to everyone, how on earth would they have the time to run their own business? In my experience, people always prefer to respond by text as it’s quicker and easier for them. I personally find it too much of a hassle to go through link after link to book a meeting and I’m not sure if I’ll be free or in the mood to answer any booked call. People give up way too easy, so make it super easy for them and expect all this so you don’t get disappointed or waste your time. P.s – If you’d love to, you can include any CTAs (Call-to-Actions) in your signature. This way you are subtle about it and you are not asking them directly like other marketers with readymade templates. (Most business owners assume that meeting will be an hour even if you tell them 5 minutes). It’d be better to surprise them with a quick call after responding to your cold email and qualify them on spot for a few minutes. After all, you may find out after calling that they are not truly qualified to invest in your service. So don’t let the cycle drag on pointlessly! If a prospect becomes interested in what you had to say and the value you offered through a video audit and asks you “how much do you charge for doing these changes?”, this would be the perfect time for you to get on the phone the same hour!, same day!, or just the following day! Do NOT answer the price question over text as prospects are always price-shop and will always go for what’s cheaper. The goal is to show them in the process why they should pick you over the ones with dirt-cheap prices and quality. 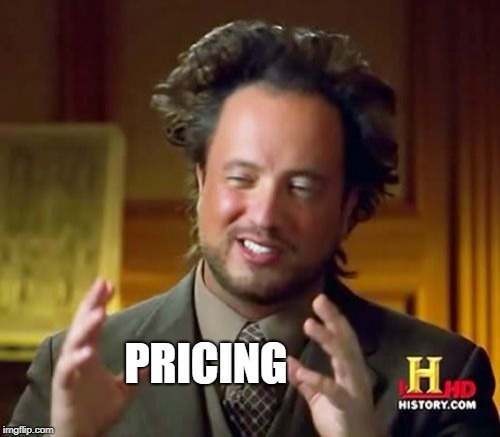 So, get on the phone whenever you get someone asking about pricing after sending them a video-audit and start qualifying them first before you reveal any pricing or anything. The goal is to build up your value, your trust with them, and eventually justify why they should go with you –even if your price is high! What to do on Your 1st Call? First of all, if the prospect has the intention to run away from you .. They might ask you to call them back later or because they have a meeting (they could be honest, but a many times they are NOT! … just be prepared). In this case, do Not ask them “Did I catch you in the middle of something? … Is this a good time?”. Instead, assume interest and tell them that you’ll only take 2-3 minutes of their time (and once rapport is established with the first couple of questions they’ll most likely pour their heart out for 15+ minutes with you). Generally speaking, the first call should be a discovery/qualification call. This is to determine whether or not the prospect is truly qualified to move further with them to the end of your sales funnel, and to know if they had previously invested in your a similar service, and if they are financially capable of spending the amount of money you are willing to charge them. Not all prospects qualify! Know this so you don’t waste your time with ones who aren’t open to making a change, or don’t see the value of what you’ll be offering them. Start by asking them on your first warm call -after you get a positive response by email- to tell you more about their business and how long they’ve been in the field (this establishes rapport). Also, you can look them up on social media platforms like Facebook, Twitter, or Linkedin. You can use their personal info to hint at things they’ve achieved that seem interesting to you as this would make you sound like you are not just on the phone with them for the sole purpose of selling, but to get to know them as a human being to establish trust. Ask them about past experiences with marketing and if they had previously invested in some sort of digital marketing, and what type of digital marketing was it? How would they rate their previous experience? How much they were paying before when they got /didn’t get the results they want? (provide them with a price range like 100-500$, 500-1000$ … etc to be subtle about it. Don’t ask for an exact figures as this would make many uncomfortable). Ask them if there are a few competitors they have in mind for you to research and see if they have online systems that bring them traffic (establishes you as an expert, and if they are qualified you can get back to them later with that competition report later). You can also do this before your discovery call so you can share it with them on your first call to shorten the sales cycle further. How much business/customers/calls they are already getting every month on average? What is the average client worth to them? (Again, be subtle about it and provide them with ranges to choose from, 500-1000$, 2000-4000$, … etc). How much more business/customers/calls they would like to start making to make the change they want? Ask if they are the sole decision-maker (be subtle about this! – try asking if they love to share their decision-making with someone as opposed to throwing the blunt question of “are you the decision-maker?” directly to their face). This is very important because I previously wasted time building interest with people who eventually turned out to be part of a larger team and not the sole decision-maker. You can send them the competition report in case you didn’t start out with the video-audit method that shows how much of an expert you are early on in the process. You can also send them the competition report if you asked them about their top competitors in your qualification call and they provided you with a few names to look up. Know that it’s generally better if you do your homework and research their competitors before your first warm-call anyways as they’d be open to hear about this after getting warmed-up to you by email and we want to shorten the sales cycle as much as possible. After qualification and deciding that the prospect is qualified enough, the next step would be to ask for the sale. Know that objections will start to come up at this point either way and regardless of how you ask for the sale, just ask for it so you can overcome these predictable objections we are about to list. It is just BOUND to happen! It is a given! You only close once you’ve overcome the objections they throw at you. Is there anything stopping you from getting started? Ready to start with your first month? STEP 6: Enter 2018 SEO Objections! Know That Prospects Won’t be Open With You Unless You Force Them To Be! This used to drive me N-Sane! People would stop responding all of a sudden and not tell you what’s changed! The reality is, people will always price-shop and if they were interested in what you had to say before, most likely they are shopping around after they learned about SEO through you, or maybe they got another email that is relevant to what you offered but for much less price … etc. Again, I personally know how prospects feel regarding something like this. I have an agency site and I too get emails from other digital marketers trying to sell me Guest-blogging and other types of digital marketing services. And to this day! .. I still have an agency following up with me that I was planning on outsourcing my SEO work to before I learn the technicalities of an entire SEO Campaign and learn SEO to do it myself. Do NOT EVERRR! discuss objections or things like “what’s wrong?”, “you gave your word that you were interested” and stuff like that by email! Always discuss these things over the phone. From a psychology standpoint, If it’s hard for someone to get into a certain state you want them to be in, take the necessary action to go the extra mile by yourself and this will make it easier for them to follow you on the same path. In other words, open up and they will forced to open up to you as well. Give them full permission and state it clearly that you want them to be honest with you about their doubts, suspicions, and objections and that’s why you are here for them to have their questions answered and solve it for them. Usually, most objections eventually come down to: Trust, price, or fear of it not working out in the end. If you reached out with the Video-Audit method offering value and some tips for free for them to help improve their site and online presence, that alone should build trust, interest, and value with your prospects. Also, you can provide them with a competition report or analysis if you asked them about the top 3 competitors they have in mind for you to look them up for them. If you don’t know how to do SEO or the technical aspects of it and you are just in this to make money and planning on outsourcing the SEO campaign work to someone else, then you can use their testimonials and case studies to pitch your own clients. Rank a YouTube video for them: To this date, YouTube videos are so easy to rank on the first page of Google for long tail keywords. Just pick a long tail keyword with modifiers, geo-modifiers and squeeze in the keyword in the (Title, description, tags) and it should rank almost instantly once submitted to the index or pinged! I’m not talking about ranking for competitive terms here for affiliate marketing or anything, just for easy-to-rank-for search terms as ranking proofs or samples that are specifically relevant to your prospect to impress them. While I believe now that people who get things for free usually turn out to be of the worst quality, and while I still believe it is enough to giveaway some value for free using the video-audit / competition report tactic, However, this method can work very well if you have a client on the fence and is just one-step away from being closed. Basically, you’ll show them your ability to improve their rankings before you even start a full campaign of SEO work. Simply, offer them a Trial period for 20-30 days (for best results) and then use some trusted PBNs from trusted vendors and send a few PBNs links to their site for a keyword that’s ranking somewhere in the top 100 (the first 10 pages) and wait a couple or more weeks till you see a spike in their rankings compared to where they were. After that, you can have the PBN links removed if you wish. PBNs are safe if used correctly and if the link profile of the client’s site is diluted enough with lots of (Naked/Branded/Generic) Anchors. If you are trying to get into a specific niche (roofers for example), create a dummy-site for that niche and rank for a few long tail search terms (Top/Best roofer in City/Suburb/Zip code) These pages should rank once they get indexed if you are using long tail keywords correctly. Then you can go and pitch roofers since you have a site in their niche that’s ranking for some search terms. Rinse and repeat for any other vertical you want to get clients from. You can even create one site and several dummy inner-pages for each niche you are trying to get into and pitch clients with those “easy-to-rank-for” keywords that require no investment or money on your part. Having your own , you don’t need but when starting out you don’t have for fancy stuff like Press-releases or Testimonials, you have to at least rank yourself for some long tail. Again, pick something that require no investment on your part (Best SEO Agency/Company/Firm/Expert in City/Zip code) … etc. And you can use this in your pitch over the phone or in your video-audits. You can even rank yourself in their suburb for SEO terms almost instantly in the process (cities will take time and money to rank for). 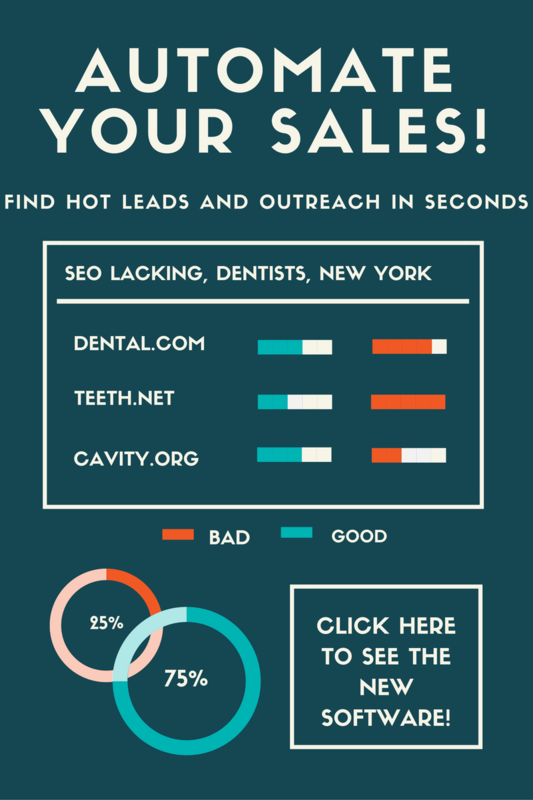 As we mentioned before, SEO is now harder to pitch than before. With the rise of digital marketing agencies flooding the inbox of almost every business owner, business owners started believing in the myth that SEO could be done for dirt-cheap prices like 50-100 BUCKS! Now, how do we overcome this when in reality everyone price shops and goes for what is cheap? A lot of SEOs will rely on using the ROI – that is yet to come – in pitching their prospects. Something along the lines of “If you only get ONE client, you’ll be making way more than what you are paying already”. This is definitely true, but I think you can allude to more things to help them understand why they should still pick you over the 100$ SEO agencies. Don’t think that just because you showed value early on means that you’d be their go-to guy and that they’d prefer you over others. They can get interested in SEO because of you, but look up someone else who does it cheaper! as people will always price-shop for less and would think that all SEO is the same! Ways to Overcome Price-related Objections! 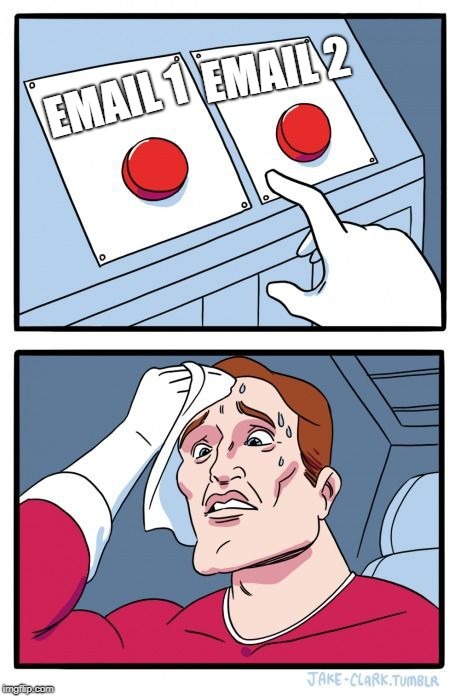 First, ask them -to gauge and see- if price is the only thing that is truly stopping them from pursuing this further or they are just coming up with endless excuses not to take action. Tell them that these dirt cheap companies charge very low money because they rank businesses for terms that no one is looking for! and that you rank them for the same keywords their competitors are using (Yes you can get trickles of traffic collectively from 0 search/month long tail keywords if you rank for dozens and hundreds, but that’s not what CLIENT SEO is for. The reason SEO clients are charged high prices is because ranking for High-volume keywords takes MONEY! and that’s what client SEO is perfect for). Tell them and that if it was that easy and that cheap, every business would be on top! (Makes sense?). To illustrate further, if your client is in the Real Estate niche for example, tell them that if it was that easy or that cheap, everyone would beat large brands like REMax & Century21 with just a 50-100$! (Which doesn’t happen in real life and is absolutely preposterous Mr.Prospect o_O!) – You get what you pay for! Tell them that you Reverse-Engineer what their top-3 competitors are doing to pull ahead. If their top competitor has 5000 links, you build the same, similar, or better links to beat all that in less time … etc. phone ringing for them once or twice to get them hooked and to get them trusting you till the SEO organic effects start to kick in. Cheaper Now … Pricier Later! You can call this a “Payment Plan”. If you find it hard to close when starting out and price is the only! hurdle that’s stopping the prospect from truly taking the next step, you can make a deal with them to charge them less amount of money initially on for the X amount of time and then increase the price back up once you’ve achieved the desired rankings. This will make the risk very little on their part if you are okay with this option and if they are truly sold but price is the only thing that’s truly stopping them from pursuing this further. Someone might say, what if we got on page one and they stopped paying? … Well, it’s up o you if you wanna play it this way, but if you control your assets or have relations with trusted vendors, you can then simply remove the power links you’d built for them that gave them the largest push in the rankings to let them fall back so they learn to stick to their agreement and not mess with someone like you! Or, you can spot this early on right before the last month (before increasing the price) rolls around and see if they are up to something like this so you can bring this up to let them know that you’ll stop the work if you don’t get paid your worth and if they don’t stick to the agreement. Fear of Things Not Working in the End! Just because you mentioned something once that the prospect resonated with, doesn’t mean it’ll be stuck on their mind throughout the entire process. Prospects will always get doubtful and objections will inevitably come up along the way. You just have to know what these repetitive objections are and how to routinely work around them. At this point, if they tell you something along the lines of “I’m not sure if this will work!”, then you can remind them of all the proofs you showed early on (including your personal rankings for long tail keywords and reminding them that you showed them that you know how to rank by ranking yourself already! – which is the best of all proofs). Remind them that they’ll be seeing ranking improvements every single month already (this should be the case if you are doing things right), and this alone will allow them to see that they are heading the right direction. So it’s not like they have to wait all of the 3 or 6 months before any ranking improvements happen! Some agencies provide some guarantees. Something along the lines of continuing to do the work for free past the 6-moths mark until rankings/traffic is achieved. Just don’t offer a Refund! When a Prospect Asks for References: How Can You Dodge This When Starting Out? Know that people will always come up with excuses not to do something and it is the NORM with all human beings. Very few people take action or make decisions to consistently move forwards in life, especially big business-related decisions as these are the most uncomfortable of all. But know that all of the excuses you’ll come up against are more than common, repetitive, predictable, and none of them would be brand new or unheard of. All prospects will come up with the same 2-3 objections or excuses right before the close. One of which is asking for References from your current/previous clients! If you think about it, it doesn’t make sense at all! If you are generating dozens of leads every single week, you’d be hiring your current clients to be your call center if you want to use them as references. Run this by those dumb prospects! .. If they were to be your clients, would they then like to be answering 5+ calls a week to provide a live testimonial to everyone who asks for the service? (Again, this is preposterous Mr. Prospect o_O!). One more thing, -I haven’t tried this yet- but you can challenge them to go out there and ask any of the so-called marketing agencies that pitched them for references and rest assured they won’t get any 99.9%. I personally reached out to many agencies and asked for references by phone/e-mail to see what they do about this and none of them provided me with any references. I then realized that I was the only one willing to do so until I got an email someday from someone asking me to stop using their name to get clients through them! (Still have this as a souvenir in my inbox). Some experts will tell you that if you hear something like “I need to think about it” then you probably you haven’t done a good job establishing enough value upfront. I tend to disagree, because I’m one of those who can still chicken out in the end no matter what value you showed me! because I price-shop and research things before I make decisions. And just because you showed me a world of value, doesn’t mean I’ll make a decision with you! This is specifically true for local business owners who are not as open as corporate or enterprise clients who already know that it takes MONEY to make much much more money and have more of an entrepreneurial mindset knowing that there has to be a constant, and a dedicated budget for things like marketing and sales. Do NOT ever let something walk away to think about it! If they walk out of the door, 99.9% of the time the deal is over! unless you impose a time-frame on it to get back to them again VERY soon, or have a follow-up scheduled 1-2 days after in extreme cases. STEP 7: Wrap Things Up For Them & Recap! When you get to the point where they ask you to give them some time to think things over, you need to remind them of specific bullet points that makes the light bulb goes off in their head again like before. Just remind them of the time when they told you where they were interested in hearing what you had to say, the proof of rankings, … etc. Basically, Recap what you and the prospect have been through together in a few points to help them overcome the shock of having to make a decision with you today. You can also apply a bit of pressure by imposing a timeframe on it. If they don’t get back to you within 48 hrs then you’d move on to someone else who contacted you as you can only work with ONE/city or there’d be a conflict of interest and you are only looking to take on one more client this week, month or whatever. Identify the problem: Remind them of the challenges they were facing and the complications of having such challenges consistently in their life. Exaggerate: Remind them of the cost of not having these challenges fixed and that the more time goes by without getting them fixed, the more they’d be losing and in a constant cycle of procrastination and 3-6 months from now, they would have wished if they’d started earlier as they’d be already making much more business. Show them that the solution is with you: Because you already got them hooked before, remind them of the value of your what you’ll do for them, remind them of the guarantee if you offered one, remind them that the first month is without contract. Basically, tell them there is very little if not any risk at all on their part and that you showed them enough to prove that you can rank things on the first page of Google! As a Newbie: Contract vs No-contract? 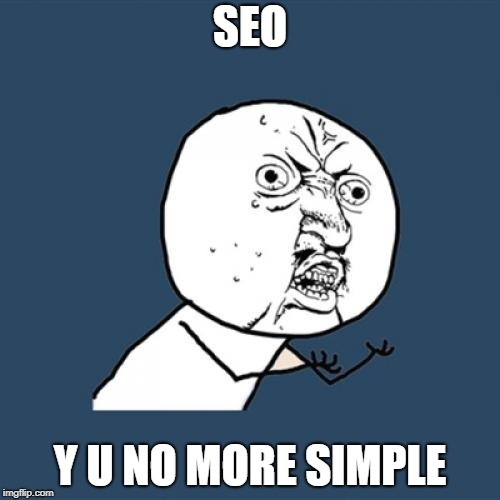 We all know SEO takes time! But know that you’ll come across many prospects that got burned by an SEO Agency before or got bombarded by other dirt-cheap SEO offers. While different people have different opinions regarding matters like this, I believe now that one can get much more business by not asking for contracts as people -including us- hate commitments and we don’t like to feel tied for months into something that we are uncertain about (Remember that none of us control Google and it’s ever-changing algorithm!). Also asking for contracts -at least right off the bat- will make it a tough sell for you especially when starting out. (Still, explain to them that full results happen after the X amount of time) However, there is another way around this! If you are starting out and you don’t have testimonials yet, not offering would be your best bet. At least, give them the first 1-2 months without contract to test your service before you introduce contracts. You can also tell them No contracts at all, but after a couple of months introduce the contract -as an option- in exchange for a discount. Find, Scrape, and Collect leads using ScopeLeads or manually using Page 2+ on Google Map/Organic listings, and those advertising on Adwords, Yelp, Yellowpages, and those posting on Craigslist. (for non small-sized businesses, use the tactics mentioned before to get past the gatekeeper). The best times to reach out to prospects whether by phone/email would be early mornings (8-10 AM), and late afternoon (5-6 PM) or so. For emails, feel free try other times as well (Even if on the weekends). A Video Audit (or a fake one to see if they respond first to save yourself time and effort) offering value for free in a gentle manner without asking for anything in return. An email asking a business-related question to strike a conversation. Expect no responses at all. Follow up 1-3+ times till you get a positive response or a clear NO. (You can try creative ways to be funny when you get a NO! like sharing a meme or cracking a niche-relevant joke). Once you get a positive response, use that as an excuse to pick up the phone and go for a Warm-Call the very same hour, the very same day, or the following day if possible (Cut it short, get on the phone and do NOT try to get them booking an appointment with you by email or it’ll drag!). The goal here is to qualify the prospect with a list of questions to establish yourself as an expert and to see if they are capable of being charged the amount of money you’ll ask for early on to save yourself time and effort. If you’ve shown them enough value already with the video audit right before the Qualification Call, then you can start asking for the sale on the same call -if it’s a proper time- or schedule a meeting for one last time (Skype meeting, Phone meeting, or Face-to-face meeting if you are a local where you recap things for them and ask for the sale). If you used the Conversation-Striking method, then after qualification tell them you’ll provide them with a competition report (in a video format) to show them how much business there is in the area, and go for the close the very next time! P.S- You can try sending a small gift to the business owner – if you are local or you can contact a nearby gift shop to send them one – after the qualification call if you weren’t planning to ask for the sale in the same qualification call. This can help warm them up to you even further if they are truly qualified but still got doubts. Do not think about the perfect way to ask for the sale, just do it because the same old, predictable and repetitive objections will come up anyways. You only close once you’ve overcome all of their objections. My name is Amed Abraham. I’m a former Pharmacist, originally from Cairo, Egypt. I dabbled in different things from Drawing, Graphic Design, Web-Design, and eventually stumbled upon SEO when I thought about starting my own business to quit the 9-to-5 lifestyle. I provide SEO services on freelancing platforms like Legiit, in addition to running my own digital marketing agency site that goes by the name ‘PopularLocalz’.